This heater's sleek design with built-in electronic thermostat provides an energy efficient panel heating solution. With no moving parts, the heater provides quiet, even heat. The built-in electronic thermostat maintains room temperature to within 0.5C (0.9F) for maximum comfort and up to 10% energy savings. 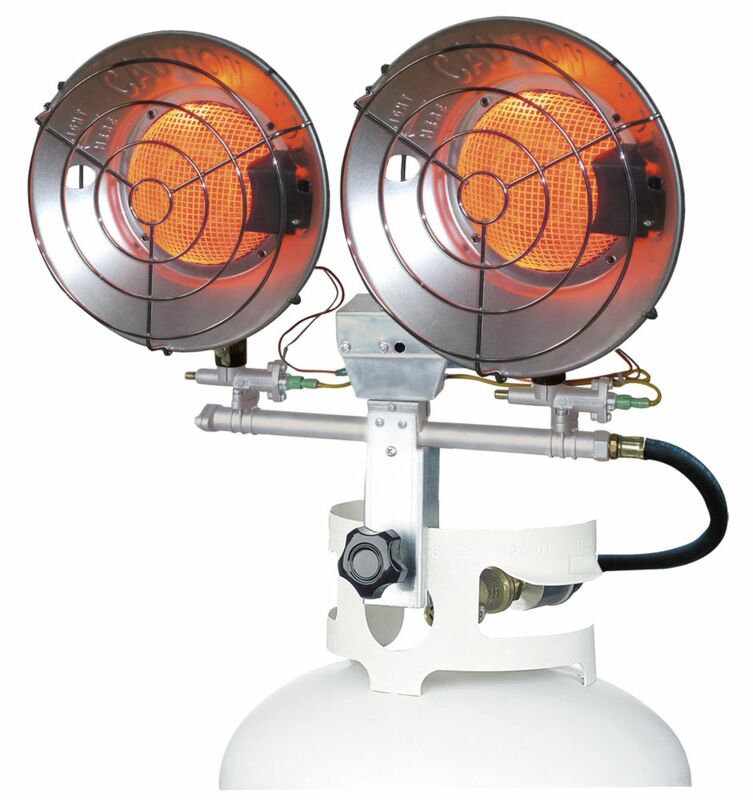 32,000 BTU Dual LP Tank Top Heater Pro-Temp is the choice for both the Professional and Do-It-Yourself looking for portable outdoor space heat. Regardless the need, we have the right heater for you! Pro-Temp heaters are ideal for garages, workshops, construction sites, warehouses, aircraft hangers, farms, hunting, fishing, tailgating, and any application where portable heat is needed. All Pro-Temp LP Tank Top Heaters require NO Electricity to operate and work on 20lb (gas grill) tank. Models feature wind resistance, safety tip-over switch, easy match light ignition, radiant style heat (like the sun), rear burner safety guard, rust proof chrome emitter guard, and swivel burner head (multi-directional heating). All heaters are CSA certified! 32,000 BTU Dual LP Tank Top Heater is rated 4.0 out of 5 by 1. Rated 4 out of 5 by Henri from Works as expected Item arrived quickly and in good condition. Was installed and works well as expected.